There are many threads on the net that are discussing Apple’s new iOS devices, iPhone 8, iPhone 8 Plus and iPhone X, are supporting the fast charging. But the iOS devices do not come with the fast charger. Therefore, for fast charging you have to buy a new compatible charger that can set you back at least by $75 exclusive of tax. So in this article, we will talk about fast charging vs cable charging speed on iPhone. So how did calculated that price? 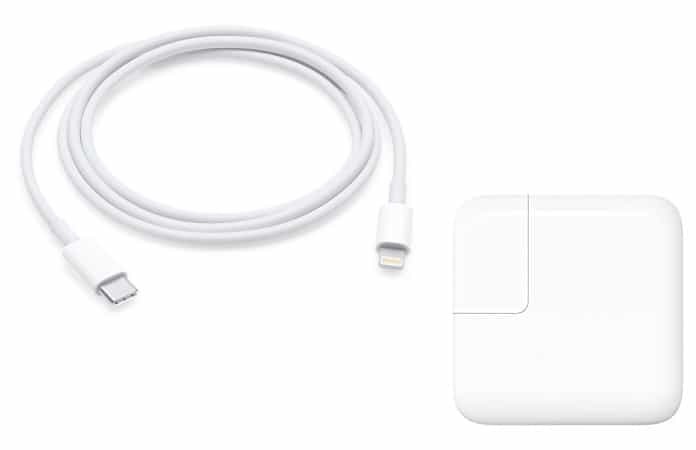 Well, first you have to purchase this particular USB-C to lighting cable for $25 ($35 cable for a longer length) and with the least 29W charger, which is usually used to charge a MacBook. Because we require the power for it able to fast charge the devices. Now, you guys must be wondering that is it best for to invest in a fast charging cable? What are the benefits and If I am saving exponential time when using the fast charger. In order to answer the above questions we had to set up a control experiment. The experiment was conducted as following, to determine between fast charging vs cable charging speed on iPhone. We used an iPhone that we had completely depleted its battery twice. The first charge was made with the cable that came with the device. Secondly, we charged up the device with above mentioned charger and for both, we checked the battery at a 15 minute interval. So the initial 15 minute is usually faster for the fast charger technology. The battery and fast charger are compatible in a way that the first 15 min is charged rather quickly then it gradually slows down with every minute passing. Now, from the table you can see that the initial 15 minute charge for the fast charger is 3 times faster than the normal charger. Hence, we go a 27% charge compare to the 9% charge with the default cable. So, when we reached at the 30 minute interval, we observed that the fast charger had charged half the battery of the iPhone, approx. at 48%. 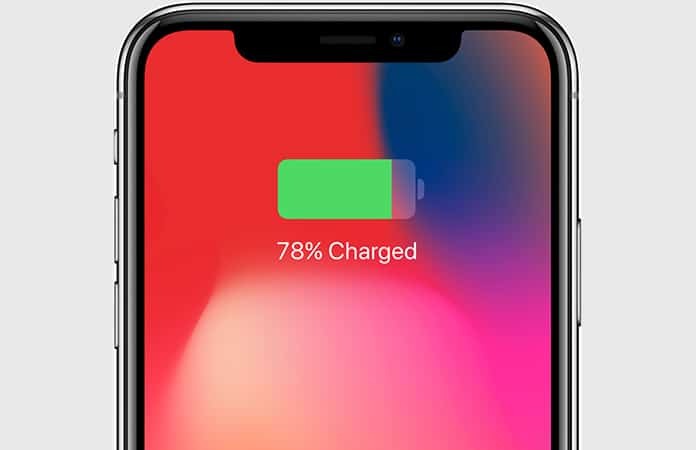 We can give Apple a thumbs-up on their claim that with a fast charger iPhone can recover half of the battery life in half an hour. But for the regular charger, the iPhone was only charged a merely 18%. So at the hour interval, looking at the 30 minute interval stat, your iPhone must be completely charged. But as we mentioned earlier, the fast charger slows down, hence we saw iPhone battery was at 68%. Though the regular cable was no closer to even charging the iPhone battery to half-life. It took about an hour more for the fast charger to completely charge the iPhone at 100%, so a full hour and 55 min. As for the normal cable it took, which common, a 3 hour and 17 minutes to fully charge your iPhone. Note: The battery charge may differ for individuals, only if you are using your iPhone in between the charges. We did not use the iPhone in between, only until the battery reached a 100%. The first 15 minute charge is 3 times faster compared to the normal cable, but as a whole, if you’re completely charging your iPhone. 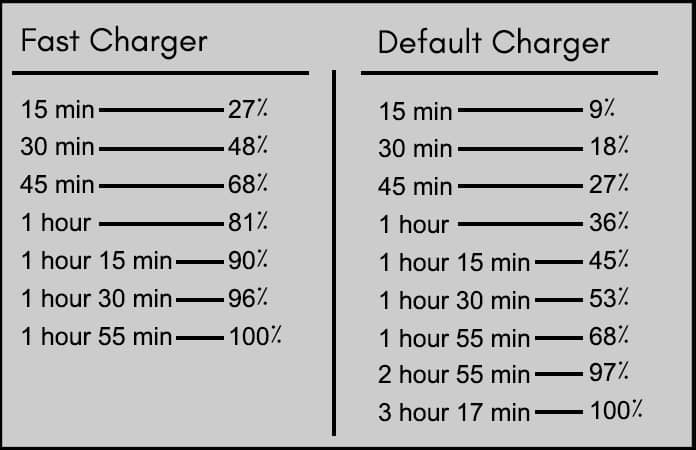 Then, you need to 1 hour and 17 minutes more for the normal cable to charge your iPhone than to the fast charger. So, if you need 15 minutes burst charge in your daily routine than we suggest go ahead with the fast charger, well, even the 30 minute mark satisfy. But if you only charge your device once throughout the day, usually when sleeping, then you’re fine with the normal cable. And don’t need to fork out $75 for the fast charger. Let me know in the comments below, can you wait a little longer for the full charge or you’re happy with the 30 min burst charging? Next articleTop 10 Tempered Glass Screen Protectors For iPhone XS: Shield Your Screen Today!